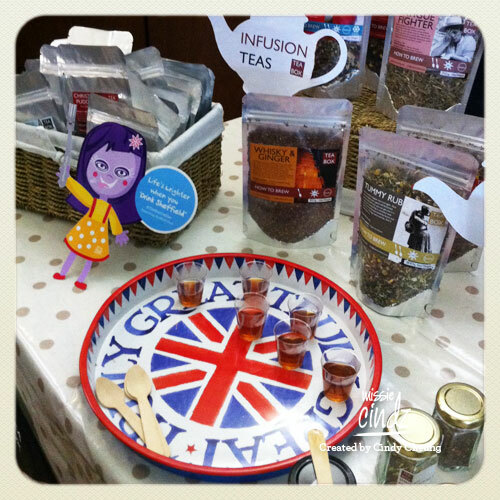 Missie Cindz with Sheffield's Tea Box tea – slurp! Mmmm, spruce up your sprouts this Christmas with some pancetta? 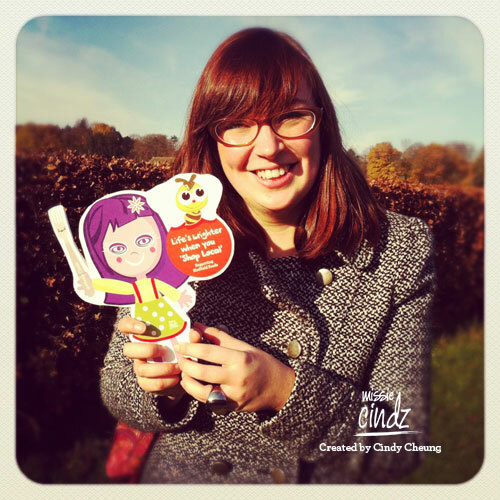 Aww, Missie Cindz with Rebecca – what a great pair! The festive season definitely sprung on us last weekend – who said Christmas and the German Markets were the ‘in’ things to attend this time of the year for food tastings and inspiring food? I drove up to Sheffield’s Bradfield Farmers’ Market up at Bradfield Farm last Saturday with another foodie, Rebecca Helen. With the aim to grab some groceries for filling up my empty pantry and as tasty Christmas presents. 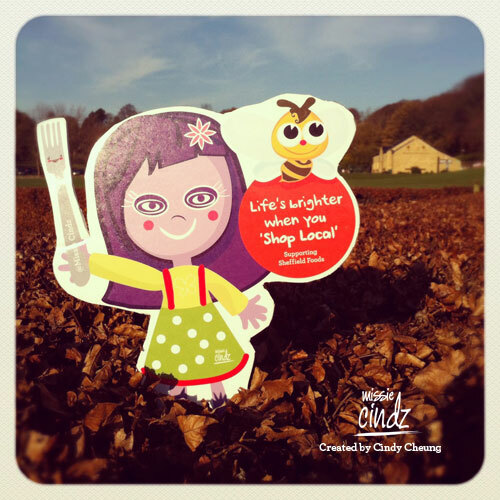 The farm is only about 20 minutes from the city centre and if you know me well enough by now, you’ll know, where Sheffield Food goes, the Missie Cindz will try her best to support and find her local Sheffield food gems. How can we resist when food’s involved?…I can’t! Fork please! Held in Bradfield Village Hall to the northwest of the city, this monthly farmers market showcases the best in local, seasonal and artisan produced food and drink. Featuring over 15 different food exhibitors selling fab Sheffield produce ranging from beef, pork, chicken, milk, pies, ice cream, fruit, vegetables, beer, chutneys, bread, honey, cheesecake, jams and cakes. Other items on sale include soap, bird feeders and pumpkin oil. A Refreshments area is also available from their in-house cafe shop. I was indeed definitely spoilt for choice. I caught PJ taste's Peter stuffing his face with Our Cow Molly ice cream. Hahaha!! 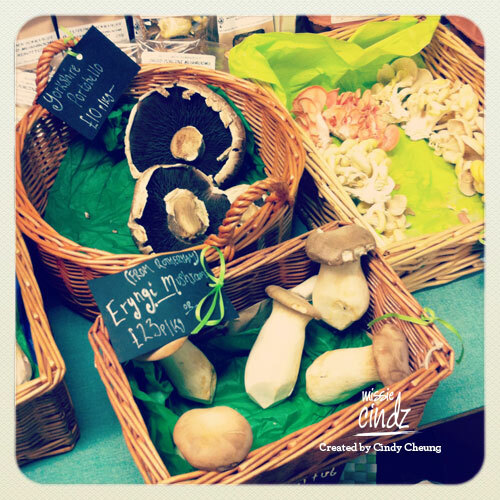 Seasonal Eryngi mushrooms – I love mushrooms. So versatile and tasty. 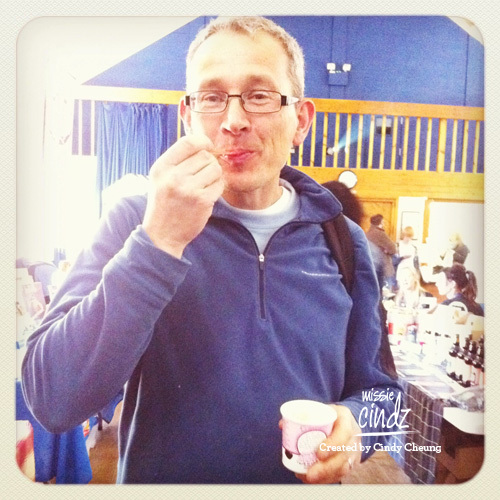 It was great to bump into a few familiar faces too, such as another food blogger, Clare Tollick (@FeastAndGlory), I caught Peter from PJ taste stuffing himself on Our Cow Molly ice cream – I asked Peter which flavour he was scoffing, he replied ‘Christmas Pud’ with his mouth full (I don’t blame him too!). Was lovely to catch up with Just Preserves again – these pair are either busy making preserves and chutney OR sunnying it up on holiday, I managed to stock up on my fave Apple and Blueberry jam and bought a few jars as xmas presents too. 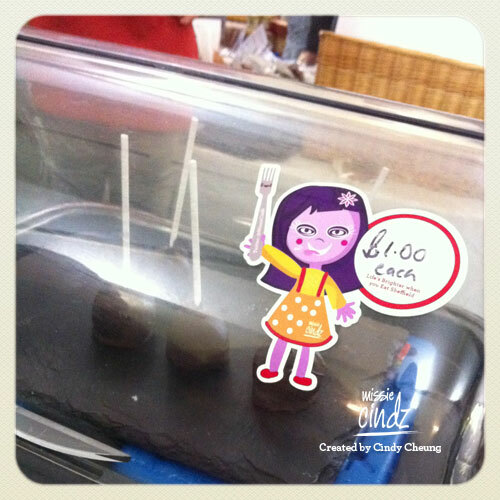 Finally, I also tried the new cake pops from The Heavenly Cheesecake Co – Cheesecake Pops are balls of real cheesecake, covered in chocolate and served on a lollipop stick – the pictured and I bought were raspberry. Mmm, a really nice winter treats! 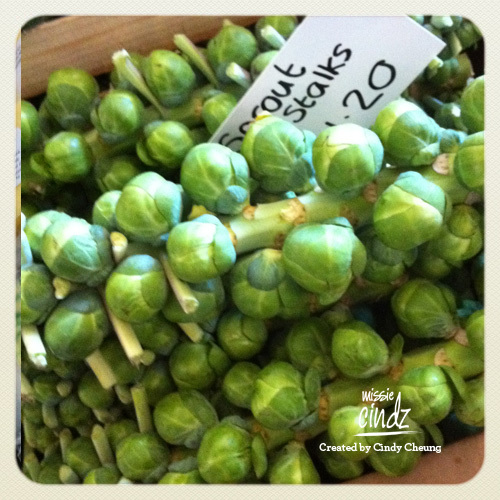 Eating seasonal produce is also rather educational – I’d never seen sprouts on their stalk before! (see photo above) saves us money and is a tasty way to cut your CO2 – I bought bag loads of food stuff for all under £20.00. This month has seen me getting festive with seasonal fresh produce that includes mushrooms, brussel sprouts and the good ol’ winter squash (I love squash). The next Bradfield Farmers Market will be on Saturday 17th December and runs from 10 am to 4pm. The Nether Edge Farmer’s Markets will be on the 4th December and Heeley City Farm Winter Festival will be on Saturday December 3rd, hosting their last of its four seasonal festivals this year. I’ve heard the Winter Festival is going to be fantastic, with enjoyable entertainment, festive food, and an excellent array of stalls and activities. Come along to all of them and get your Chrimbo meal’s ingredients and meet the producers of some great local food including locally grown fruit and vegetables, locally reared meat, homemade jams, pickles and chutneys and lots more. Oh finally don’t forget about the Missie Cindz ‘Sheffield Favourites’ Food Hampers – great Christmas present ideas. These little boxes of treats are bound to brighten and colour up any foodies tums! and I hope you enjoy them as much as I’ve enjoyed putting them togther for you :) Please email me or get in touch for more information or to reserve your box of Sheffield treats. My Christmas-illustrated hampers are only available until the 24th December – very limited editions!